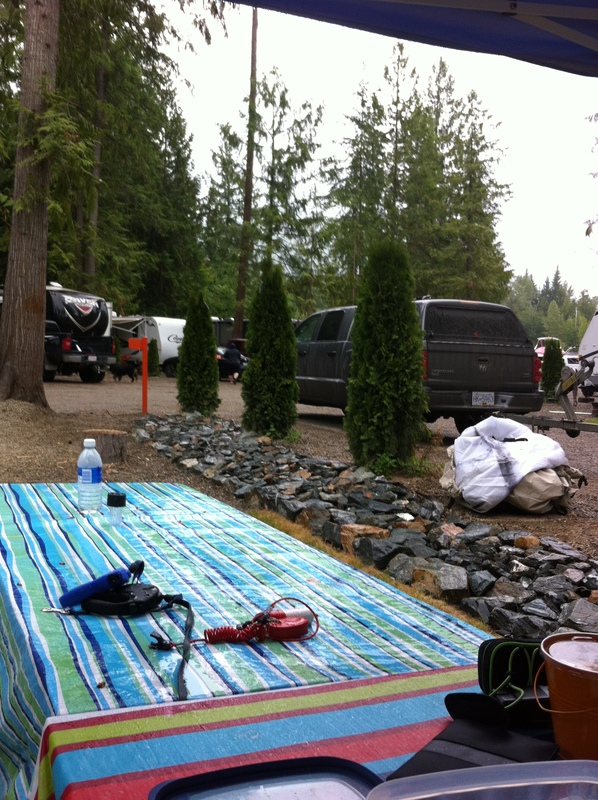 For 2 years now we have camped at Magna Bay Campground in July to kick off summer. I have family with a cabin nearby and it is a tradition for everyone to head there for the long weekend. The campground is not right on the lake but it does have piece of property across the highway that has a small beach and dock. This campground drastically changed from the first year we went in 2013 to the next year. It appears Magna Bays main business is selling RV lots or long term rentals so the set up is geared to get the maximum number of trailers into one space. You can see by the resort map that it is no longer a campground but a RV resort. At this time you can still rent a campsite for a night or two but as they sell more and take on long term rental I am sure the selection of sites will get slimmer and slimmer.When we stayed last year we had sites 70 & 71. Each site has a gravel pad that backs onto another gravel pad so when you are parked the back of your trailer is only feet away from the trailer behind you. You also get a small grass area with a picnic table and another gravel area for your fire pit. The grass areas are lined with cedar trees but at this time they are very small and offer no privacy. I was in site 70 and my sister and her family were in 71 but now that we have seen the new set up we should have booked her into site 25. This way when she backed her trailer in we would have shared the same green space area. It was interesting because her families site had a very wide gravel trailer pad and fellow campers would just walk through her site as if it was a path. I found it interesting to see the typical camping etiquette not followed here, I am thinking because it was more of a resort community than a campground. Either way I was not a fan. All the sites from 2 to 79 are pull through sites so they back onto another site. If you are traveling with other families keep that in mind when booking. Also keep in mind there is NO privacy. When you go to bed you can hear the full conversations of the site behind you and next to you. Because this is a vacation resort and many campers own or are long term rentals there were a lot of group campfires and loud music so I found it to be a very noisy campground. There was also a problem with the hook ups. This was really the first weekend the campground had a big test of the septic system and not surprisingly there were problems. The trailer behind my sister had septic issues so the smell coming from the ground was terrible. Understandably they needed to work on this and often had to trek through her site to do that. Not once did they come and talk to her about this, apologize or offer to move her. They just ran hoses and made noise as if there was no one around. Like I mentioned there is a beach but it was very small and it is squished between two privately owned cabins so there is no way to get away from the crowds. There is a grassy area just above the beach but it is small and right on the main road so not relaxing. If you have one of the back sites in the campground the beach is also a bit of a hike but not more than your typical campground. Magna Bay resort also offers boat and kayak rentals, this is an added bonus if you have it in your budget. They also have a great dock which is nice to swim off of or float from. Shuswap Lake is a warm lake and even in early July we were able to take a dip. Other than the obvious lake and beach activities there is plenty to do in the area. 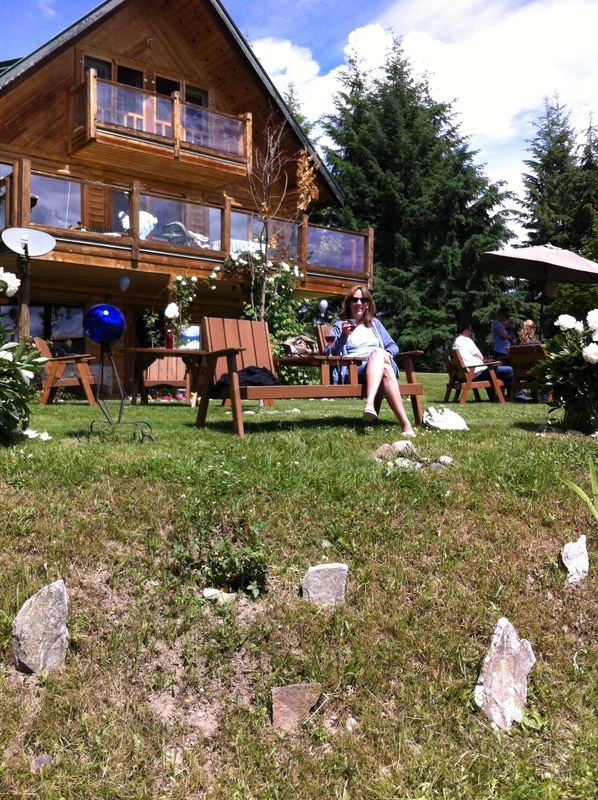 That trip we visited Celista Winery, it is the most northern winery in BC. There is also Anglemont Golf Course which is a fun course with some challenging sloped greens. Scotch Creek Provincial Park is only 10 minutes away and it offers great beaches, bike rentals and bike riding trails.Shuswap has always been one of my favorite lakes to visit but unless you like the very close, pull through RV style camping I cannot recommend this campground. There are many campgrounds around this area so if you are looking for a private outdoor experience I would say, keep looking. Recommended Site: If you can get any site that don’t back onto another site that would be the best. 61 to 78 would work best. If you are camping with another family be sure to get sites that back onto each other like 70/25 or 71/22. Avoid 67/26 because there is only a row of shrubs between the site and the washroom walkway and there are lights on all night. Located in the sunny Shuswap providing great weather. Playground was not built nor was the club house. Pull through sites mean you are backing onto another trailer. Boat rental for ski boats, pontoon boats and sea-doos along with all tubing and skiing equipment. 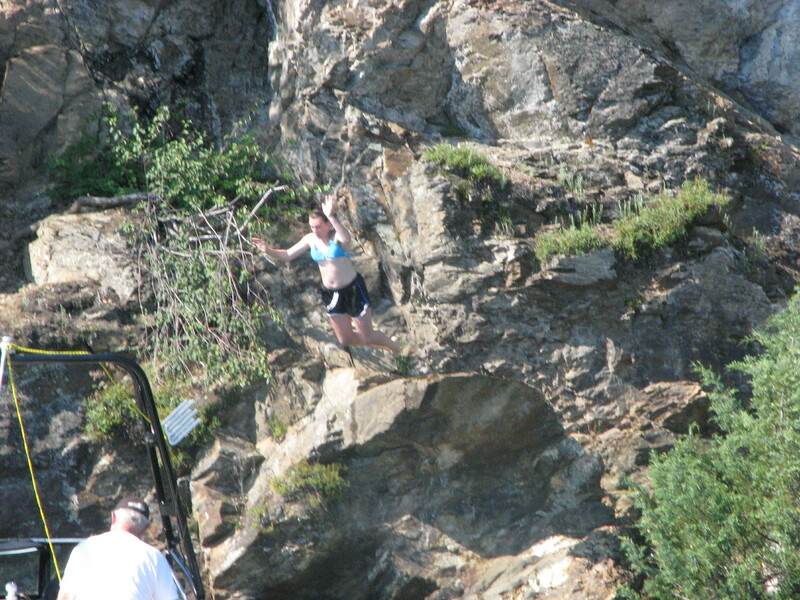 Cliff jumping at Copper Island but boat access only.